Oven Baked Turkey Sandwiches are perfect for using up those Thanksgiving leftovers! 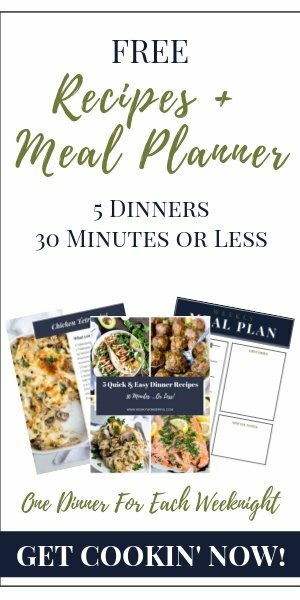 Feed your hungry crowd with this easy recipe! 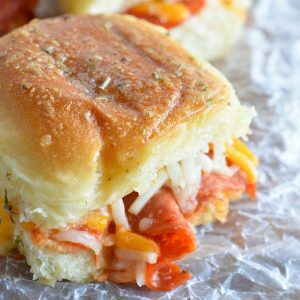 You just can’t beat an easy oven baked sandwich! 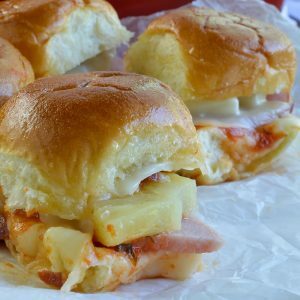 Slap anything inside soft Hawaiian rolls and bake them . . . I’m there! 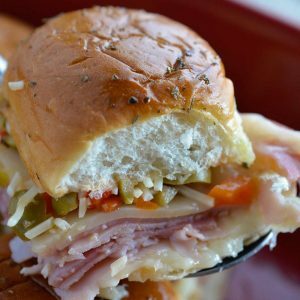 Plus, baked sandwiches are great for feeding a crowd. 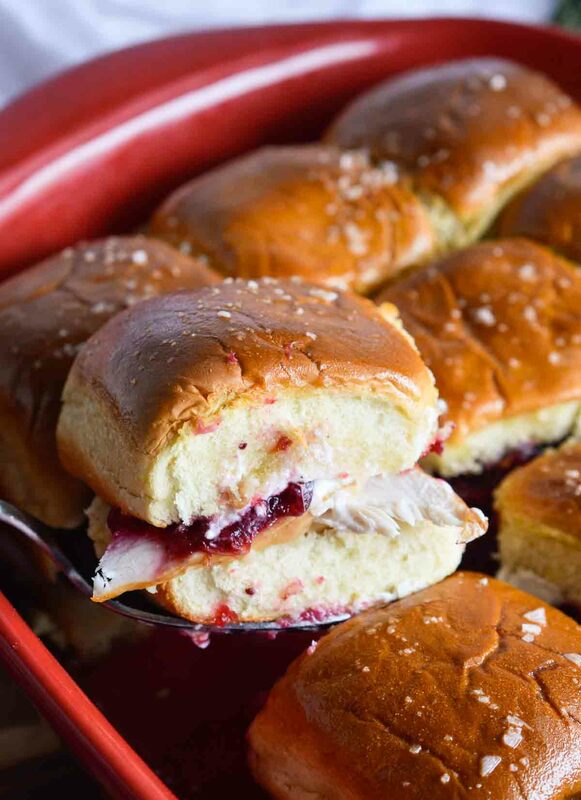 These Oven Baked Turkey Sandwiches are the ultimate ‘day after Thanksgiving’ meal! 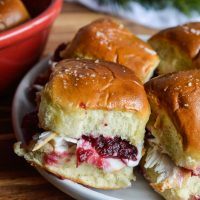 After all of that crazy Black Friday shopping, come home and whip up these leftover turkey sandwiches! 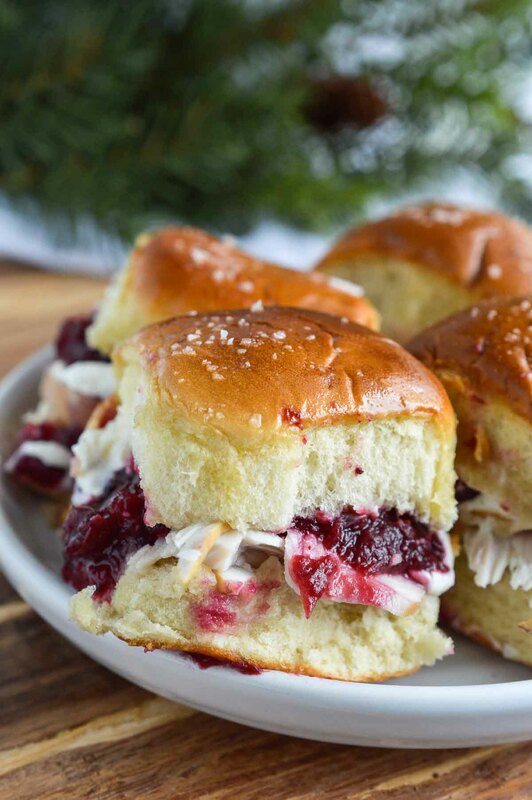 Soft rolls, leftover turkey, cranberry sauce and a cream cheese drizzle. That’s how you do it! Well, I may have been a little heavy handed with the cranberry sauce. I suggest a small dollop unless you want messy sandwiches. Delicious . . . but messy. Whatever you do, don’t forget the butter and salt on top! 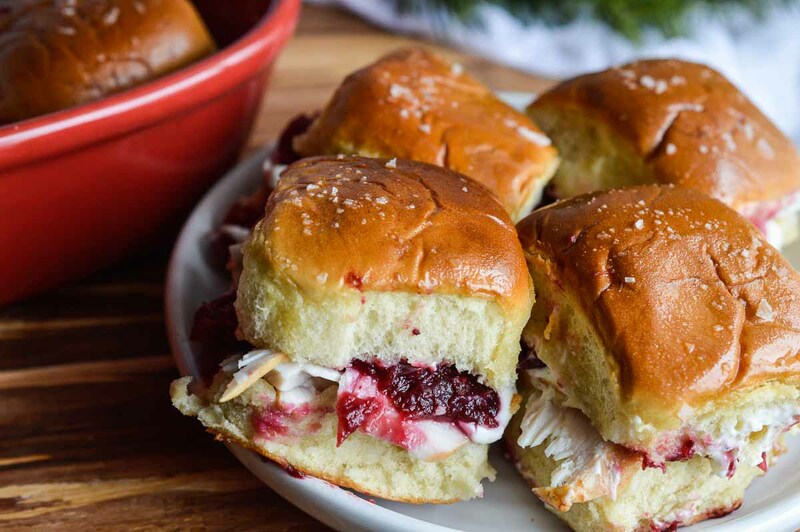 Oven Baked Turkey Sandwiches are perfect for using up those Thanksgiving leftovers! Spray 9x11 baking dish with nonstick. Layer bottoms of rolls. Top with turkey. Top each with a dollop of cranberry sauce. Mix cream cheese, milk and pepper. Drizzle over sandwiches. Finish with tops of rolls and press down gently. Remove from oven and brush with melted butter. Sprinkle salt on top. 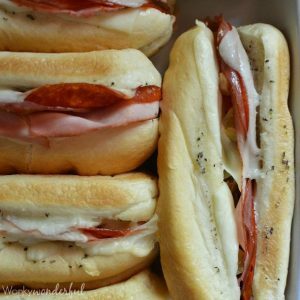 More Oven Baked Sammies. . .
You’ve given me the perfect reason to make cranberry sauce this Thanksgiving! Love your fabulous turkey sandwiches! Thanks Liz! Cranberry sauce is my favorite Thanksgiving dish. Oh my gosh, this is the first sandwich I am making the next day! 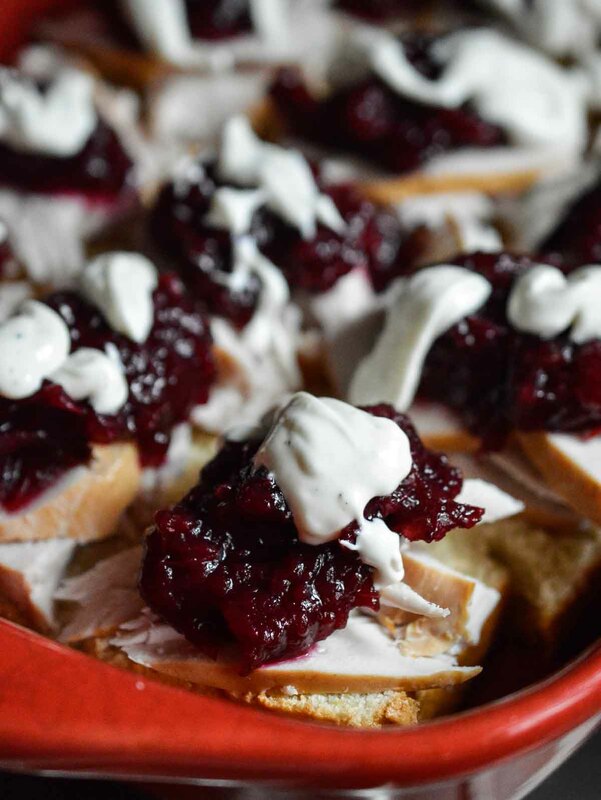 I love the idea of cream cheese and cranberry sauce! Can’t wait to try this.